Delivering the autumn budget, the Chancellor last week described the UK economy as one that was “working for everyone”. But the facts tell a whole different story. Families up and down the country know the cold, hard truths of the past eight years of Conservative rule – families who have been at the sharp end of Tory cuts to our public services. The richest 10% are set to gain 14 times more in cash terms next year from the budget than the poorest tenth of households. Growth is set to be below 2% in every forecast year – almost unheard of – and figures for the UK are now 60% below the G20 average. UK manufacturing growth has fallen to its lowest level since 2016 – well below forecasts before Brexit. And what about children and young people? Those who’ve not had the opportunity to exercise the right to vote have suffered the brunt of the consequences of austerity. We have certainly not been “all in this together”. Wards in my constituency now have around 40% children growing up poverty. This year 3.1 million children with working parents will be below the official breadline, and much of the one million increase since 2010 is due to government benefit changes. The impact of cuts on children was brought home to me when over 100 teachers from Hounslow visited parliament a few weeks ago. When asked what issues were having an impact on attainment in their schools, two thirds said mental health, over half said food poverty and many referred to difficulties at home. Those answers show in stark terms the reality of families under strain, and how the children are now feeling that strain. Not having a decent place to live, resources to study, food to eat or time with parents who work shifts day and night to make ends meet. The Children’s Commissioner has highlighted changes since 2010 in major areas of government spending on children, which has overall suffered a 12% cut. Spending on “young people” (youth services and youth justice) has seen a fall of 60% in real terms since 2010. This was highlighted by the now infamous line by the Chancellor, who gave schools £400m for those “little extras” while releasing £450m for potholes. The value of child benefit has fallen 17% since 2009-10, while the value of state pensions has risen by 54%. Some estimates suggest up to 1,000 Sure Start centres may have shut since 2010, with bigger cuts in more disadvantaged areas. The hit goes further than schools, it continues into young adults. Last year, around 2.2 million learners aged 19+ participated in some form of government-funded further education – a decrease of 29% since 2011-12. That’s without Brexit, which of course will affect young people the most and for the longest. Some of those young people did not have the chance to vote, but will live with the effects of the result for the rest of their lives. Children and young adults who are now being hit hardest by the government’s choices. The test of an economic policy is also who wins and who loses. As the government wins plaudits from the most wealthy, it is our job to speak for those who do not have a voice in the ballot box and call for a fairer future for the next generation. This is not an economy for everyone, but for the chosen few. 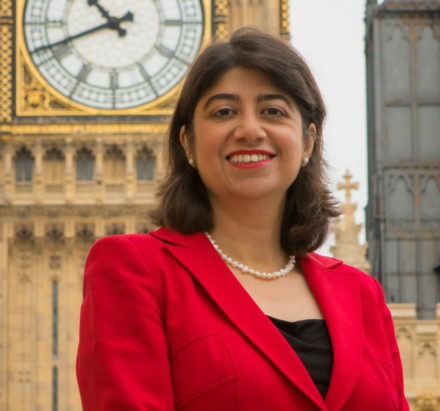 Seema Malhotra is MP for Feltham and Heston and a member of the select committee for exiting the European Union. Seema is the director of the Fabian Womens' Network, and a campaigner on equality issues. She is a community activist and was the first Asian women to chair the Fabian Society. She is the founder and Director of the Fabian Women's Network. She graduated from Warwick University in Politics and Philosophy, with a year spent on scholarship to the USA .<br /> <br /> She has been a consultant to several government departments and local authorities on public service reform issues, including reform of the civil/criminal justice systems and public advice services. She is a former Chair of the Young Fabians , and speaks widely at local societies. Seema has been a candidate in local government and London Assembly elections. She is a contributor to news and radio discussions, and is a regular writer for political magazines. She is currently working as a freelance advisor and is running a regional policy consultation on jobs, skills and housing issues for the West Midlands Labour Party.